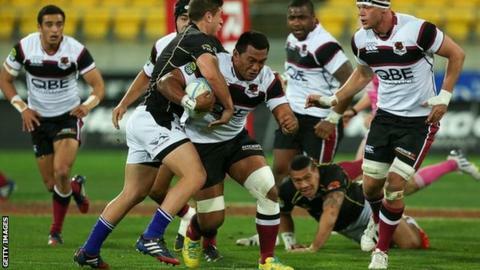 Sale have signed Tonga international Viliami Fihaki on a three-year deal. That search was heightened when in the early weeks of the Premiership season. Fihaki, 26, has agreed to move from New Zealand provincial side North Harbour and will immediately link up with Sale, who are eighth in the league table. "He could have delayed coming here and gone with Tonga on their current tour of Europe, but instead he's joined up with us straight away, which is a great boost for us," director of rugby Steve Diamond told the club website. "We had been looking for another back-row player all summer. We identified Viliami playing over in New Zealand and he comes highly recommended from our contacts over there. "We believe Viliami will be a really good addition to our ranks and that he will add something extra to the squad."